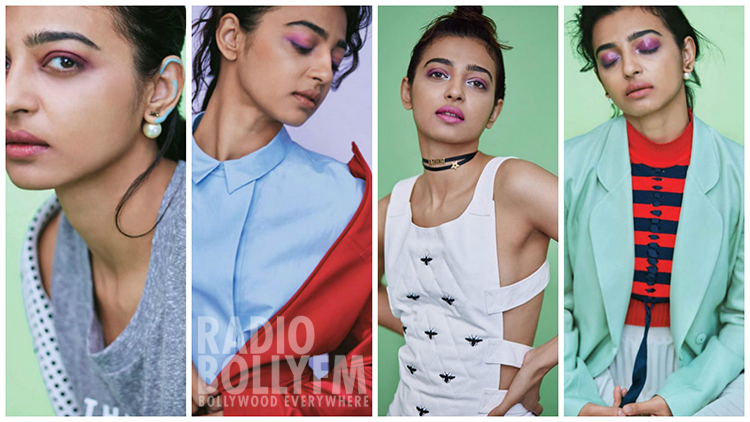 Although even before, Radhika has done a shoot that particularly ups her hair and makeup game. Maybe that is the reason we don't have as much second thoughts with the photoshoot. You'll see that it's for the most part a closeup shot. This, which means the beauticians have particularly focussed on the face and hair. All things considered, not even that much with the hairdos however the certainly the face. From purple to pink, she has wore an assortment of tints on her lips and pulled off truly well. You can look at the pics here. Did you see that highlight blue prints in Radhika's ear? That, for us, is the star of this look. Never did we think of attempting some shades on our ear before. Now we got a few prompts to take from this look. What do you think?